Every experienced farmer can identify the best and worst soils on their farm, and they usually have a theory or two about what makes them that way. While there are technical words that soil scientists use to describe soils, farmers tend to use big picture adjectives to communicate the some of the same concepts: droughty, mellow, dead, wet, tight, poor, acidic, compacted, eroded, etc. Recently, though, the terms ‘soil health’ and ‘soil quality’ have become more popular with government agencies and the terminology has trickled out into the rest of the industry. But what do these terms really mean? Consider human health: we can use some basic tests to determine whether a person has major health risks. When major risks or problems are identified, health care professionals often can use a set of information about human biology, diet, and exercise to help us move toward our personal theoretical optimum. It is the same with soils. Like your own body, soil is an amazing and complex system. Once we appreciate what is going on below the soil surface, we can begin to make management decisions that will result in a healthier and more productive soil. yield at or near their theoretical yield potential. Because of past reports of a connection between aluminum and Alzheimer’s disease, it is not unusual for people to get excited or even slightly panicked when they see aluminum reported on their soil test report. How in the world did it get there? Answer: it has been there as long as the earth existed. Aluminum is the third most abundant element in the Earth’s crust, coming in at 8%, behind oxygen (47%), and silicon (27%). Most of this aluminum is bound in stable compounds and is not freely floating around in solution. 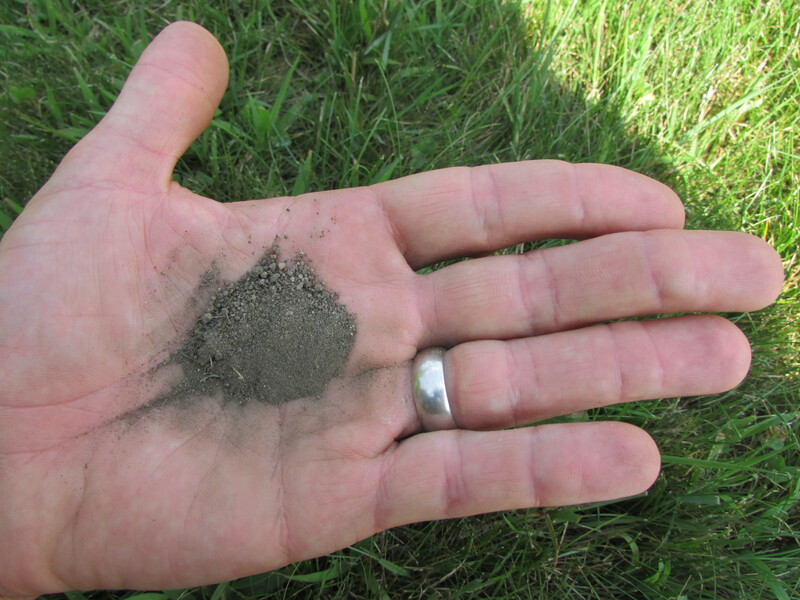 ‘Free’ aluminum (Al3+) is toxic to plant roots and also immobilizes phosphorus in the soil, which is the reason it is a major concern for crop production and included on your soil test report. If you had to spend five minutes in a room that had a marginally low level of oxygen and high levels of cyanide gas, which you be more concerned about? Personally, I would be more worried about the cyanide. While not as acutely toxic to plants as cyanide is to humans, high levels of free aluminum (Al3+) is among the greatest concerns for our crops. Some will say that plant roots are the foundation of soil health and quality. Others would suggest that soil fertility has to come first if plant roots are to proliferate. The latter view is supported by data and the experiences of many farmers and agricultural researchers. Crop roots will only thrive to the degree that their environment allows. If free aluminum levels are high in a particular soil, many crops will not thrive. The roots will likely be stubby and without much branching or fine structure. Free aluminum also willingly binds to phosphate, rendering it unavailable to plants. Correcting the problem can shift the equilibrium and allow some previously immobilized phosphate to become available to plants. 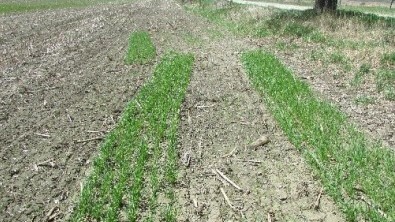 Wheat field with zones where soil pH was 4.0 – 4.4. Photo by: Daniel Hudson. Soil pH has a major influence in the amount of free aluminum. The more acidic (low pH) the soil, the more the aluminum shifts from bound the free form. When lime is added to such acidic soils, much of the free aluminum is converted to a less soluble form and the soil can become much more hospitable to crop roots; pH adjustment is THE way to reduce the levels of free aluminum. The picture to the right shows a wheat field that had zones where the pH was as low as 4.0. While some crop and non-crop plants are much more tolerant of free-aluminum than others, measuring and managing free aluminum can be a very high-value activity in crop fields. Crop growth is limited by the nutrient that is in shortest supply relative to the quantity needed. While all plant nutrients are important for root health, phosphorus and sulfur have notable roles in the development in vigorous roots. Healthy roots in a hospitable environment allow the plant to access more of the soil profile in order to meet its nutrient needs. An excellent resource for understanding more about crop nutrient needs is Nutrient Recommendations for Field Crops in Vermont. water in the root zone induces nutrient deficiencies because roots can only take up nutrients that are dissolved and moving with water in the soil. Further, when soil moisture declines, microbial activity declines, leading to slower nutrient cycling. Given the constraints of certain soil types, soil quality/health is usually increasing if management practices result in higher water-holding capacity and increased infiltration rates. An exception to the last statement is the case of an excessively drained (i.e., sandy), in which case improved infiltration rates do not improve soil quality. In such a case, the goal is to increase water holding capacity and reduce losses via evaporation. Addition of organic material always helps to increase water-holding capacity. While it is easy to reduce soil organic matter, it is extremely difficult to makes significant long-term improvements in soil organic matter levels in sandy soils. This is because the amount of oxygen that freely moves into and out of the soil influences how much oxygen aerobic organisms have at their disposal as they are breaking down (i.e., consuming) soil organic matter. Because tillage of coarse-textured soils has an impact on soil organic matter that is analogous to blowing on a fire and it is a good idea to consider using reduced/no-till planting methods and managing to create/maintain a surface layer of plant debris and maintain soil structure, slow microbial activity, and reduce evaporative loss. Adequate water is obviously important for plant growth, but roots need oxygen to do survive and thrive (this is why prolonged flooding and ice-sheets can kill plants). 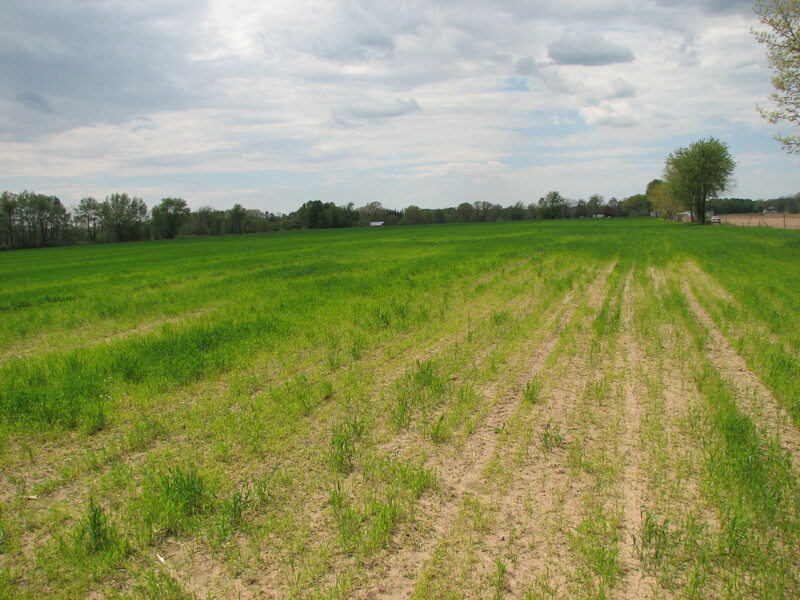 Water-saturated soils also create conditions favorable to crop pathogens. roots to have access to a greater volume of soil than would otherwise be available during dry periods of the summer. Subsoiling is best done when soil conditions are dry enough to allow the shank to lift and shatter the soil rather than cutting a smeared groove through the restricted layer. 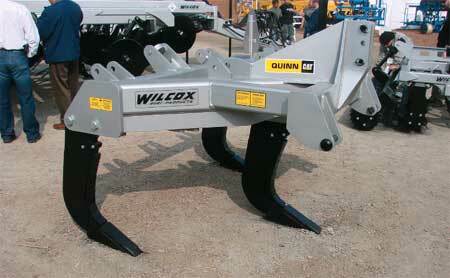 A shattered subsoil provides more avenues through which water can pass and roots can more easily penetrate. This and a few other types of careful soil disturbance can facilitate the deposition of organic material (plant roots) throughout the soil profile. Finding ideal conditions for subsoiling/shattering is easier in Midwestern states where wheat (harvested in July) is in the crop rotation. It is more challenging in corn silage systems in the Northeast because soils are often very moist during and after silage harvest. Unfortunately, it often does not take long for the restrictive layer to form in the zones through which the subsoiler shanks passed. 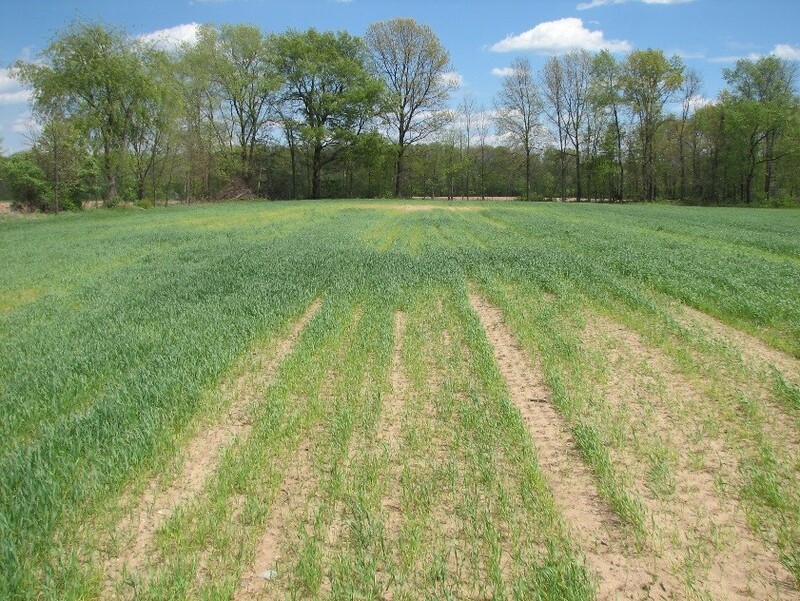 One option for farmers in the Northeast is to wait to subsoil until a field is rotated back into a grass crop and to subsoil after a cutting when conditions are as dry as they typically get in our area. 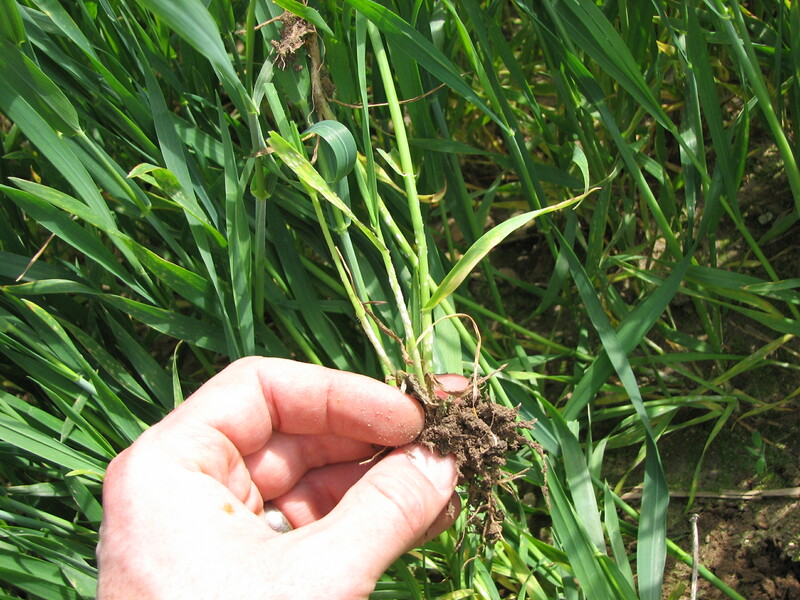 If that crop includes plants known to root aggressively, it is reasonable to expect that some of the grass roots will grow down through the restrictive layer. When those roots die, the deposited organic matter can result in the formation of longer-term pores that can improve water movement through the restrictive layer. Soil workers need good working conditions! Soil microbes are tier-1 of your workforce. The good news is that soil microbes are abundant: there are up to ten billion (10,000,000,000) bacteria in one GRAM of dry soil. That is about 2.3 billion billion (that is, 2,300,000,000,000,000,000) bacteria in the top 3.5 inches of soil of one acre of land! There are also MANY other soil micro and macro organisms. While they are there to serve you, it is also important to understand that they are ‘unionized’ and you (as the land manager) are responsible for their work environment. If their needs are not understood, acknowledged and ultimately met, a ‘slowdown strike’ is sure to follow. Soil microbes use the carbon portion of manure and other plant material for ‘food.’ In the process, they secrete sticky substances that cause soil to have ‘structure’ and excrete substances that have plant-available mineral nutrients. Without this process, plant material would pile up and nutrients would never be released. Without nutrient cycling, plants would not exist. vast majority (90%+) of microbial life in the soil exists within a fraction of a millimeter from root tissue. Parts of plant roots are continuously being sloughed off, parts of roots are dying, new cells are replacing dead ones, and organic compounds are continuously secreted. Dead, sloughed, and secreted plant parts/compounds feed soil microbes. In return, the microbes have the energy to break down dead plant material, re-releasing nutrients in plant-available forms. Microbial secretions cause soil aggregates to form, which allows air to move in and out of the soil, providing oxygen for both roots and microbes, in addition to improving water infiltration and reducing root penetration resistance. Humans have found ways to partially, temporarily, and artificially accomplish some of those things without with minimal microbial collaboration. Water can be removed with drainage and added with irrigation. Tillage equipment can keep root penetration resistance low for certain periods of time while simultaneously giving the soil a shot of oxygen. In the short-term that also releases nutrients, but in the long-term it reduces soil organic matter. If nutrient cycling is poor, or if manure is not going back on the field, we can compensate with synthetic fertilizer. Equipment, agricultural chemicals, pesticides, and fertilizers are all amazingly helpful tools, but the soil is teeming with organisms and micro-organisms that provide amazing services. If the sun shines, we are still good to grow. Right? Sort of. We can grow crops hydroponically, but it obviously makes more sense to harness the power of microbes to the degree possible. Sunshine falls on every square inch of your land whether a leaf is there to make use of it or not. The microbes have something to eat because the sun shone on a plant. This is why it is imperative that land managers maintain growing plants on the soil for as much of the year as possible. Sunlight falling on bare ground does not feed soil organisms. So, where there is opportunity, it is a very good idea to establish a vigorous cover crop that can become a biological solar panel (leaf) that will end up feeding the soil microbes, resulting in better nutrient cycling, more organic matter, improved soil structure, better water infiltration, and increased water-holding capacity. In a corn silage system, cover crops are an essential element to improving soil quality/health. Test your soil. It is worth hiring someone to do it if you don’t have time! Address pH issues, particularly if free aluminum is abundant. Correct plant nutrient deficiencies. The basics (aside from nitrogen) are phosphorus, potassium, and magnesium. The other plant nutrients are very important too but deficiencies are relatively uncommon in dairy cropping systems. If you suspect a deficiency of another nutrient, plant tissue testing can be used to diagnose the problem. Increasing soil organic matter is a long-term proposition, but even small improvements can improve water holding capacity, soil structure, and water infiltration. 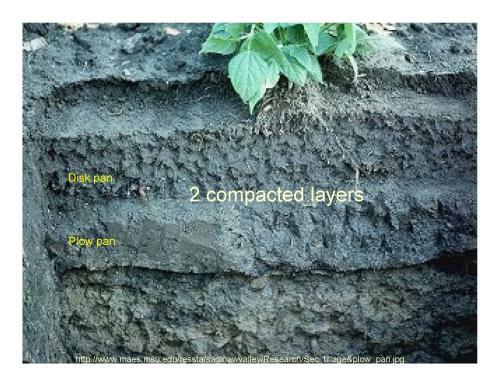 Addressing soil compaction can increase plant root access to water and soil nutrients at greater depths as well as allowing excessive water to move out of the root zone. Controlling traffic, staying off of fields when they are wet, using cover crops, and physical disruption (subsoiling) all have a role to play. Focus on the plants and acknowledge the microbes. Don’t forget the importance of having living roots in the soil for as much of the year as possible. What do they need to thrive? What part of their environment is holding them back? Is there anything that I can do to improve their working conditions? Once they have what they need, they can harness solar power to do a lot of the work that needs to be done. This entry was posted in Uncategorized and tagged corn, corn production, cover crops, Crop nutrient management, crop production, drought, Elements of Soil Health, Nutrient management, soil compaction, soil fertility, soil health, soil quality, soil resilience, soil testing, University of Vermont Extension, water saturated soils. Bookmark the permalink.